The impossible has happened. The incompetent, frugal, absentee, manipulative ownership of the New York Mets opened up their wallets. The Wilpons aka the Coupons can still get fucked, and this organization when that entire family is long gone. They ponied up the dough to secure their star and one of the best players in baseball. I won’t give them too much praise though because all of my heartache over the years is directly attributed to those cheap assholes. And credit to GM Sandy Alderson for holding firm at 4 years. This is exactly the kind of deal the Mets were looking to land at, 4 yrs/$110M. Yo got paid handsomely, and the Mets got their man. Great day for the Mets. Time to trade an outfielder, bolster up the bullpen, acquire a major league catcher, get back to health, and get the ball rolling. I won’t get into too many details, but on a macro level this was a MUST for the Mets. Can’t let a talent like Yo leave after what he’s done in Flushing. He can go golfing on game day all he wants if he plays like he has in his year plus in a Mets uni. 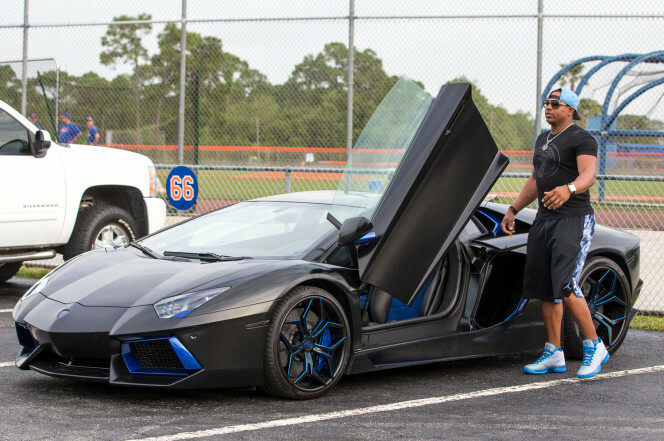 I am in love with a large Cuban man named Yoenis Cespedes, and I want to scream it from the mountaintop. PS – The Mets gave up the eventual AL Rookie of the Year for Cespedes in 2014, and I’d do it 100x again. That move had to be made, and this move had to get done. If he ends up being hated, so be it. Let’s cook Yo! How Much Money Does The Guy Who Grew The Rockefeller Center Tree Get Paid? What’s The Policy On Taking Office Food Home With You?